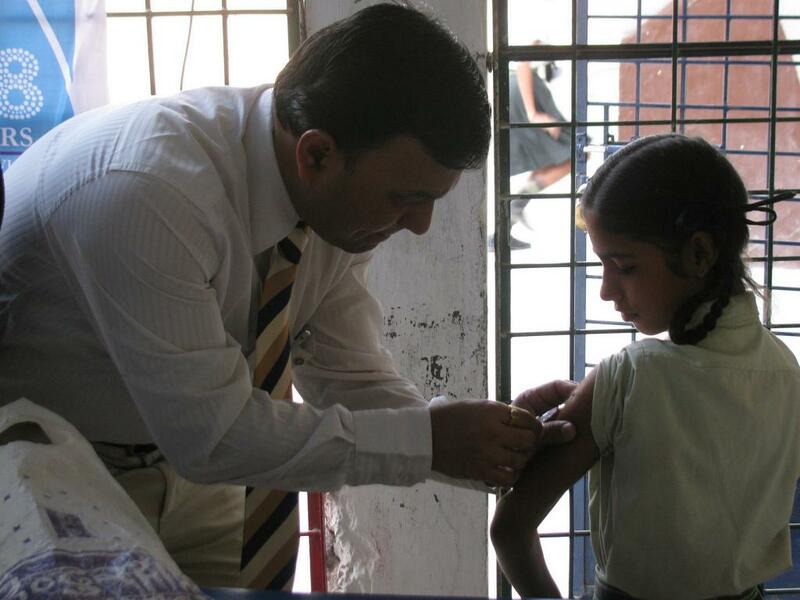 The World Health Organization (WHO)’s new methodology to classify adverse events following immunization (AEFI) has been called into doubt by two Indian medical personnel over the fact that it does not address children’s safety. According to the WHO’s website, AEFI is any untoward medical occurrence which follows immunisation and which does not necessarily have a causal relationship with the usage of the vaccine. If not rapidly and effectively dealt with, it can undermine confidence in a vaccine and ultimately have dramatic consequences for immunisation coverage and disease incidence. The WHO redefined “cause and effect” in AEFI in March, 2013. According to the revised AEFI Manual, the term “causal association” refers to “a cause and effect relationship between causative factor and a disease with no other factor intervening in the processes”. This would mean that AEFI in children with an underlying heart disease who may develop symptoms of cardiac de-compensation after vaccination (due to a vaccine-caused elevation in temperature or stress from a local reaction at the site of vaccination), would not be considered causally related to the vaccine although vaccination contributed to cardiac failure in this specific situation. In a letter published on July 4 in the prestigious Indian Journal of Medical Ethics, Jacob Puliyel, a pediatrician and member of the National Technical Advisory Group on Immunisation, and Anant Phadke, an executive member of the All India Drug Action Network have expressed their concerns over the new system for classifying AEFI. According to them, WHO's new classification, in essence, implies that no death can result from vaccination and, if any death does occur, it is only coincidental and not due to the vaccine. Puliyel and Phadke point out that the consequences of using the new classification have been illustrated starkly in the causality assessment of 132 serious AEFI cases uploaded on the website of the Union Ministry of Health and Family Welfare in India. Of these 132 babies, 54 died and 78 survived. Among those who survived, the causality assessment shows that there were nearly 50 per cent instances of reactions to the vaccine. On the other hand, not even one death was classified as vaccine-related. Ninety-six per cent deaths were simply classified as “unclassifiable” or “coincidental”. “The resulting paradox is evident,” Puliyel and Phadke point out. “If a child is admitted to hospital with intractable convulsions after vaccination, and survives, the reaction could be classified as vaccine-product–related. But if it dies, it will be classified as ‘coincidental death’”. "In view of the above, it is necessary that the WHO's AEFI manual be revaluated and revised urgently,” Puliyel and Phadke say, pointing out that AEFI reporting is meant to ensure that vaccines given to children are safe. Keep your facts straight before going onto any vaccination program. I keep a track of all the vaccines and vaccination centers using myVac http://bit.ly/2q0SfMC you too can have a look at it.